Bitsey LOVES LOVES LOVES Birthdays...so much so she has one each and every day. 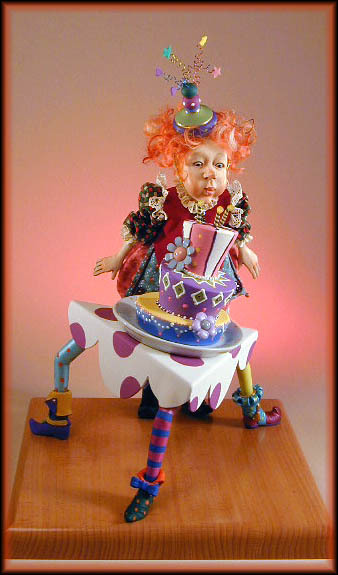 One of a kind Elfin Art Doll ,sculpted in Quality Polymer Clay and hand painted. Cake is Made of hand painted wood. Table table legs and table cover are all wood. Bitsey Stands approx. 10" tall.